I was having a little browse and came across a slightly terrifying toy/’teaching tool’ called The Roboroach which started its life on popular crowdfunder Kickstarter. 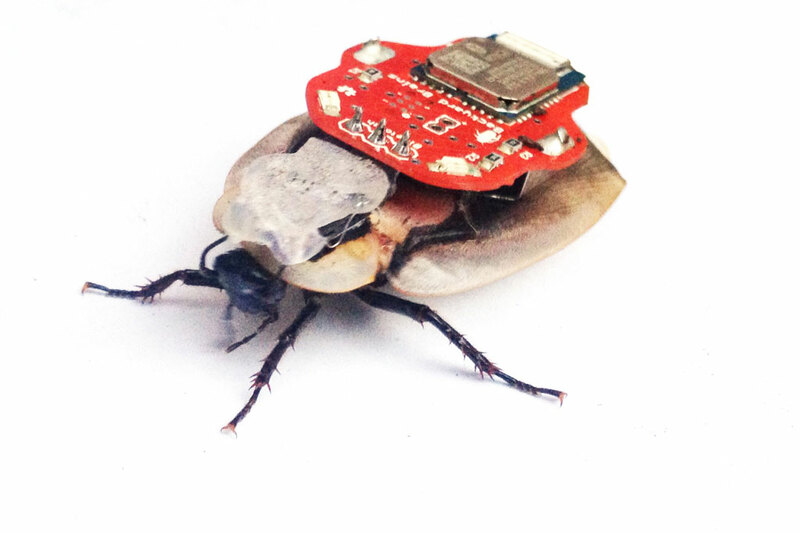 These guys have basically developed an electronic device that allows anyone to control the movements of a real live cockroach using their mobile phone app. Backyard Brains claim this is a tool designed to pique, children’s interests in neuroscience…really? There is a little procedure everyday punters must first operate on the animal, involving submersion in ice water, sanding, using a needle to make a small hole in the thorax to insert a wire and the cutting off of the antennae and the insertion of electrodes. Now, I realise a lot of people anthropomorphise animals rather freely due in large part to Bambi, however, this still seems a bit wrong on a purely moral level right? Fair enough using animals for the advancement of medicine but this toy can surely not stand behind such a argument. Yeah it’s just a cockroach, their not very intelligent or cute but then where does one draw the line? Will we be seeing remote control chinchillas soon?